Custom fusion of the Treble & Mid-Range Alt '88 Pickups, introducing the new 'Twin Sound' for Jaguar. 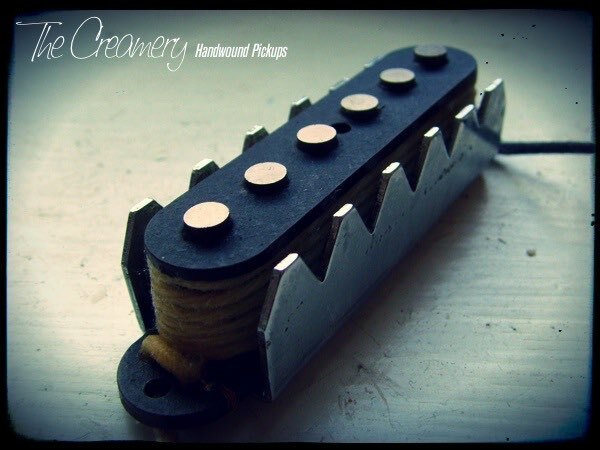 Scatterwound inner coil with a tightly wound outer coil for a versatile coil-tapped Jaguar Pickup. I've designed these to work well with 500k push/push or push/pull pots - 1 meg versions are available but due to the design and custom magnets I've had manufactured, and after extensive testing, I just preferred the 500k versions. Use one for the volume & one for the tone - that way the coil taps work seperately for bridge & neck giving you a wider raneg of sounds.